Tent camps dot the streets in Port-au-Prince, Haiti. The shelters, sometimes just draped tarps, are all that stand between residents and Mother Nature. 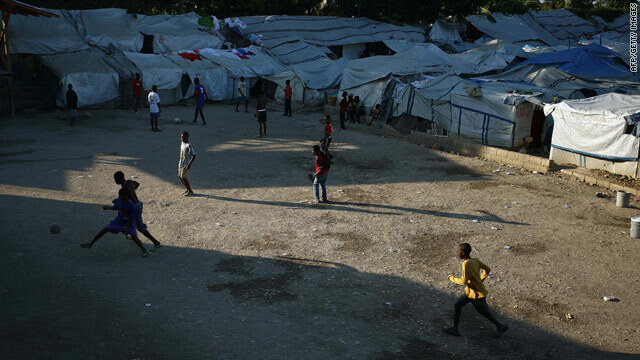 More than 400,000 of those residents live in the tents, all they've called home since a 7.0-magnitude earthquake rocked the Haitian capital in 2010, reducing many of of the structures in the capital and its suburbs to rubble. 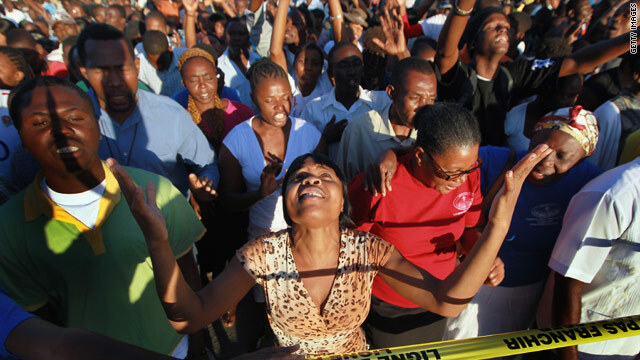 Two years removed from the earthquake, Haitians are praying again. This time, they hope they will be spared Tropical Storm Isaac, which appears to be headed straight for them. The country is still trying to battle back from a deadly cholera outbreak after the 2010 earthquake. So as the storm threatens to bring winds of about 74 mph and 12 inches of rain, the challenges are mounting. The U.S. National Hurricane Center warned that the rain could cause life-threatening flash floods and mudslides. 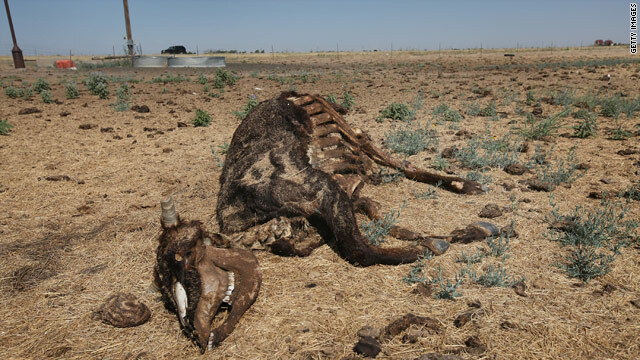 Aid organizations are preparing for the worst. Eleven bodies have been found and 13 people remain missing after a boat carrying 28 Haitian migrants ran into trouble while on its way to the United States, the U.S. Coast Guard said Tuesday. Four of those on board made it safely to shore and raised the alarm with the Bahamas police force, said U.S. Coast Guard spokesman Petty Officer Jon-Paul Rios. The Haitians' vessel broke up off Hawksbill Cay in the Bahamas, he said. Traffic backs up on the I-405 in Los Angeles during the Memorial Day weekend. 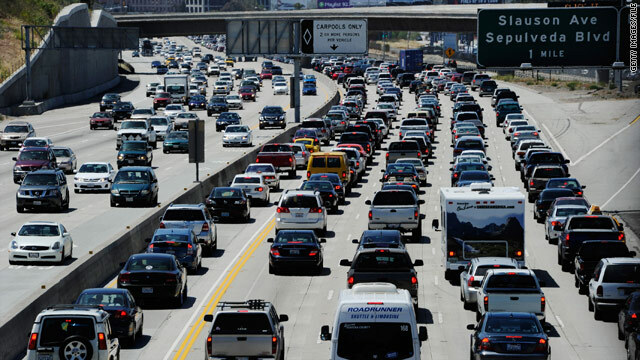 L.A. gridlock: The mayor of Los Angeles will hold a press conference on Monday to explain measures the city will take when the 405 Freeway, Southern California's busiest traffic artery, is closed for a weekend in July. On the weekend of July 15-18, a 10-mile section of Interstate 405, also known as the San Diego Freeway, will be closed to take down the Mulholland Drive overpass in a plan to add a carpool lane and other improvements. Transportation officials warn of multi-hour traffic delays in Los Angeles County and beyond during the weekend closure and warn residents to plan ahead. Some just plan on hunkering down. "We'll be landlocked and isolated. We're going to Ralph's early, stocking up and not leaving the house for two days," Gerald Silver of Encino told the Los Angeles Daily News. Tropical weather: A large area of disturbed weather in the western Caribbean Sea stands a 40 percent chance of becoming the season's first tropical cyclone in the next two days, the National Hurricane Center reports. An Air Force Reserve "hurricane hunter" aircraft will fly into the system Monday to take measurements, according to the NHC. Forecasters warn that even if the system does not reach tropical cyclone status, it's still likely to bring drenching rains, flash flooding and mudslides to parts of Jamaica and Haiti, where hundreds of thousands of people remain displaced after the January 2010 earthquake that devastated Port-au-Prince. 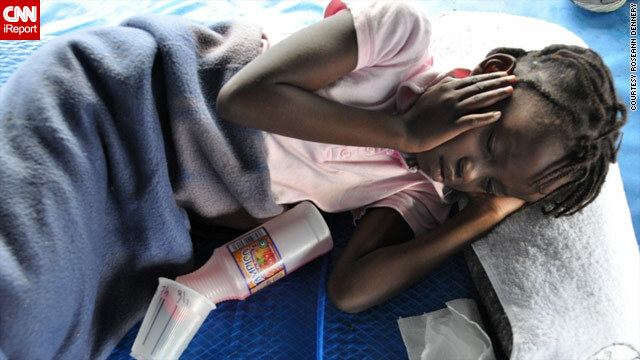 The British Red Cross warned last week that the coming of the rainy and hurricane seasons to Haiti bring new fears of an increase in cholera. One treatment center reported a 50% increase in the past week. 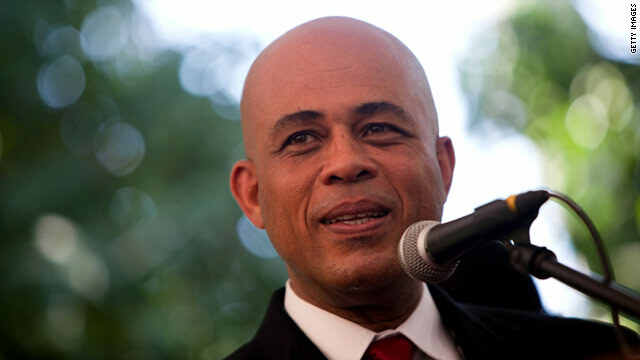 Flamboyant carnival musician Michel Martelly defeated former Haitian first lady Mirlande Manigat in Haiti's presidential runoff vote last month, according to preliminary results released Monday. Martelly took 67.6% of the vote, while Manigat received 31.5%, according to Pierre Thibault, spokesman for Haiti's Provisional Electoral Council. Final results are scheduled to be announced April 16. 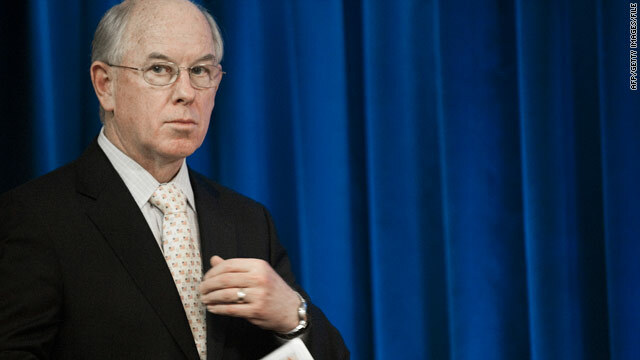 - Journalist Allyn Gaestel contributed to this report. Musician Michel Martelly won Haiti's last month's presidential runoff with 67.57 percent of the vote, according to Pierre Thibault, spokesman for Haiti's provisional electoral council. compared with 31.74 percent for Mirlande Manigat,according to Pierre Thibault – spokesman for Haiti's provisionalelectoral council who read out the results at a press conference Mondayevening at the electoral council headquarters in Petionville,Port-au-Prince. 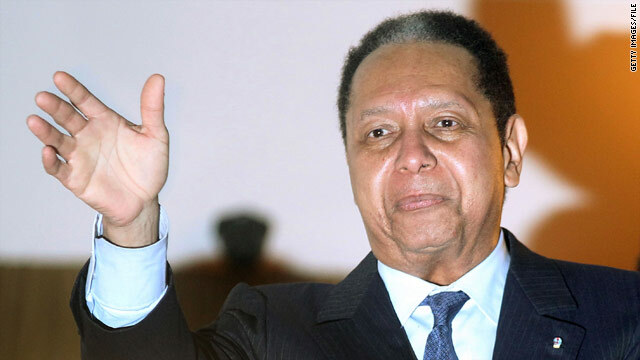 Michele Montas, a Haitian journalist and a former spokeswoman for the U.N. Secretary-General, said Monday night that she plans to file a criminal complaint against former Haitian ruler Jean-Claude Duvalier. "We have enough proof. There are enough people who can testify. And what I will do is go to a public prosecutor and there is a public prosecutor that could actually accommodate our complaints," she told CNN's "Parker Spitzer." 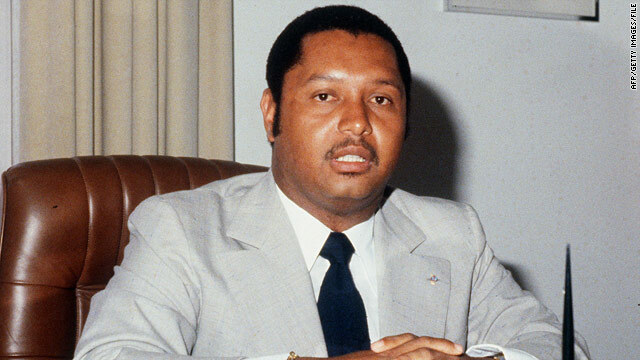 Under Duvalier's presidency, thousands were killed and tortured, and hundreds of thousands of Haitians fled into exile, says human rights group Amnesty International. 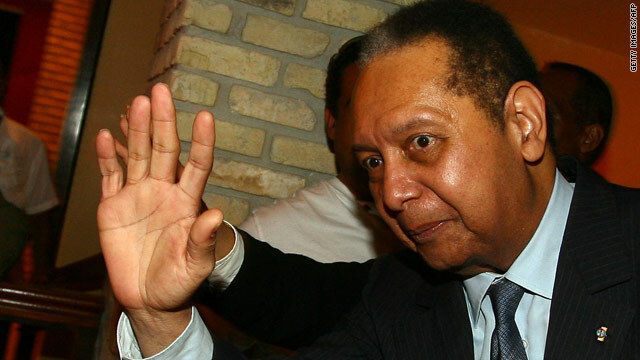 Former Haitian dictator Jean-Claude "Baby Doc" Duvalier remained huddled inside his hotel Monday, as the reasons behind his unexpected return to Haiti and what he hoped to accomplish remained unclear. Duvalier returned to his homeland Sunday after some 25 years in exile, adding uncertainty into an already turbulent situation. A scheduled press conference at his hotel Monday was canceled at the last minute because the hotel was not equipped to handle the crowd, and no other location could be found, Henry Robert Sterlin, a Duvalier associate, told reporters. Haitians are trained for jobs in the large garment industry at the industrial park in Port au Prince. A long-term, sustainable recovery in Haiti can't take place if the economy doesn't grow and the country doesn't take major steps toward becoming self-reliant. There is no shortage of ideas for ways to create jobs. But beyond daily necessities like delivering food and water, cleaning facilities at tent cities and clearing rubble by hand, few ideas that would produce long-lasting results have gone from the drawing board to implementation. So business leaders and the Interim Haitian Recovery Commission are turning to areas where there has been success in the past. 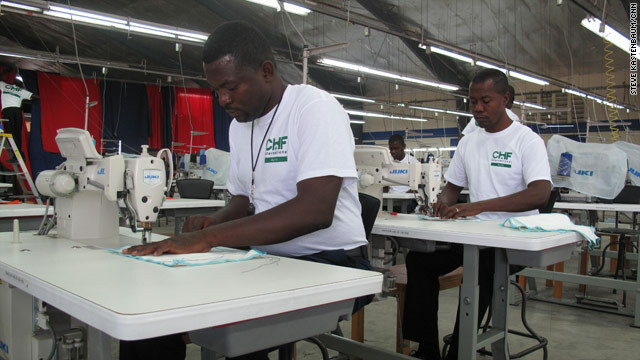 At one point, Haiti's garment manufacturing sector employed over 100,000 people. 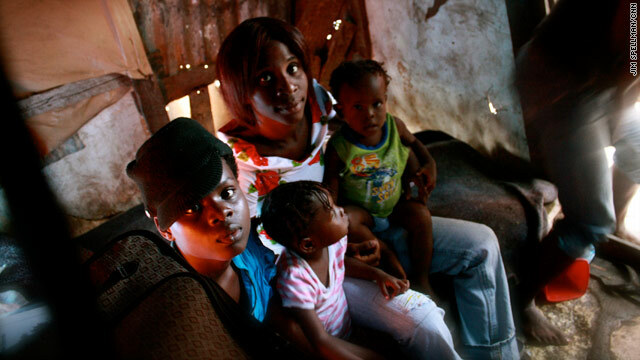 Today, 28,000 Haitians find themselves behind sewing machines or moving goods and supplies. A deal signed with a Korean company on the day before the anniversary of the earthquake promises to create 20,000 new garment industry jobs in the north of Haiti at a new industrial park and create 5,000 new homes in the region. But how do you convince buyers and suppliers to continue doing business with you when your country was devastated by massive earthquake that crippled the infrastructure and left 230,000 people dead? 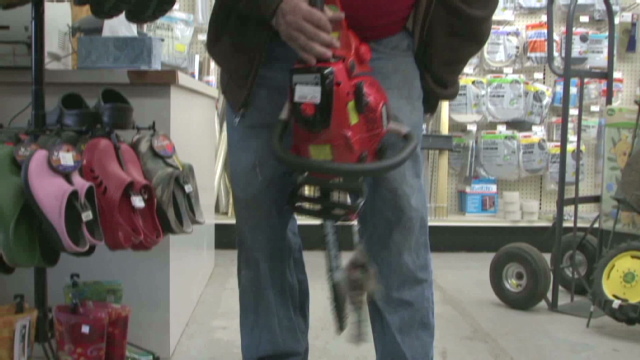 CNN's Steve Kastenbaum spoke with one factory owner about his experience getting the production lines humming again. President Barack Obama and the first lady observe a moment of silence Monday to honor the Arizona shooting victims. Arizona shooting - President Barack Obama and first lady Michelle Obama will travel Wednesday to Tucson, Arizona, and take part in a memorial service for the six people killed by a gunman at a public meeting hosted by Rep. Gabrielle Giffords, who was severely wounded. The president is expected to speak at the service. The U.S. House of Representatives will consider a resolution that honors Giffords, who remains in intensive care. The resolution also reaffirms the First Amendment rights of assembly and petition as "bedrock principles" of American democracy. 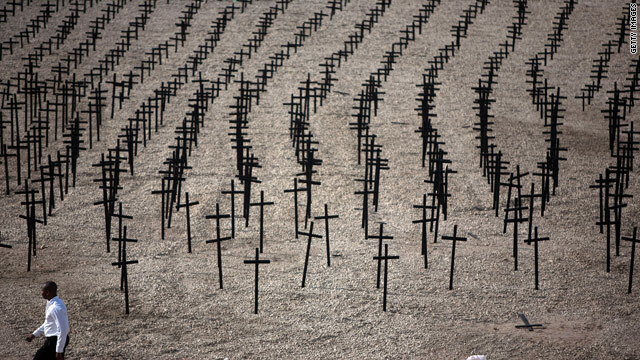 It recognizes the other victims of the shooting and applauds those who subdued the gunman and assisted the victims. A year after Haiti's devastating earthquake, some orphans remain in U.S. federal custody, awaiting adoption. They wonder whether they'll ever find homes. As the anniversary of the devastating event is remembered today CNN is taking a look back at some of the people we met during the disaster and where thing stand.